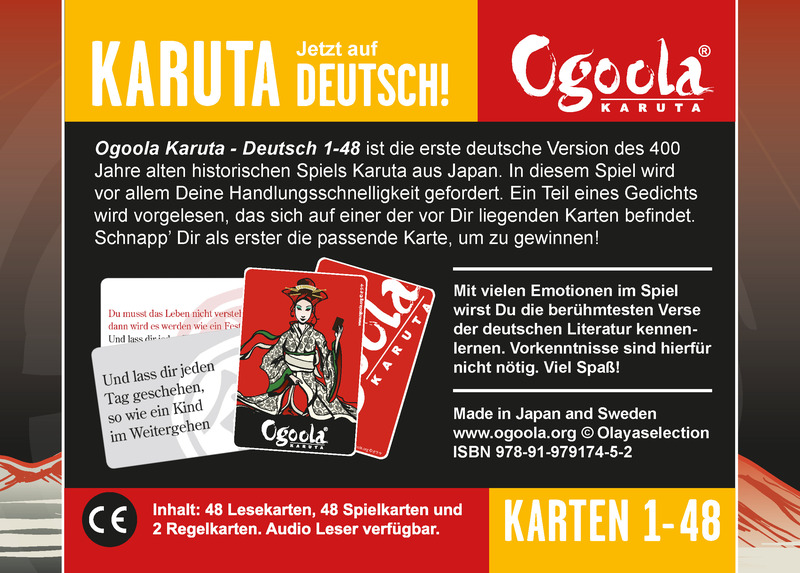 The original English Ogoola Karuta game is available in three versions; Classic, Modern and Complete. Uses 50 classical English poems from 1340 until 1882. 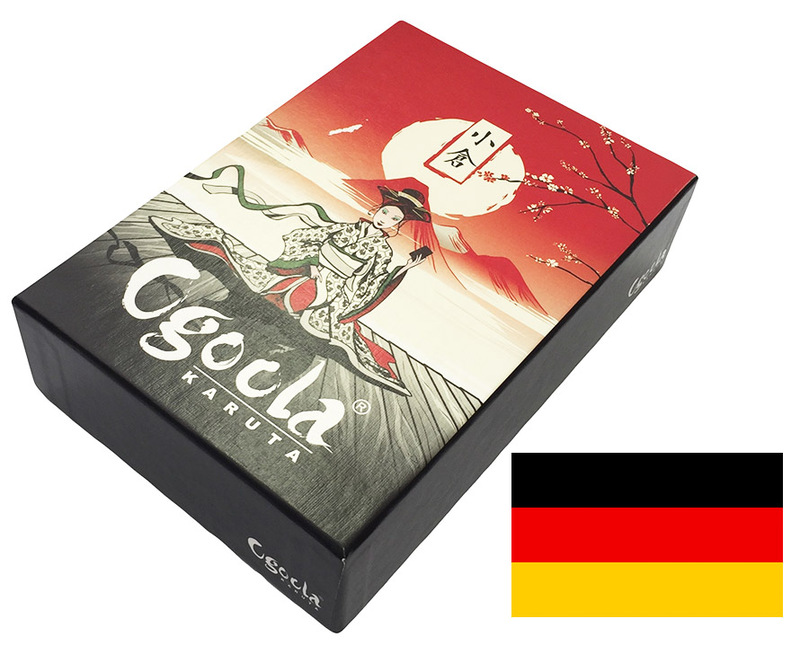 Contains 50 reading cards, 50 playing cards and a poetry book (instructions, rules, history and the 50 poetry quotes). Uses 50 modern English poems from the 19th century until today. Contains 50 reading cards, 50 playing cards and a poetry book (instructions, rules, history and the 50 poetry quotes). A complete version of the classic and modern poems. 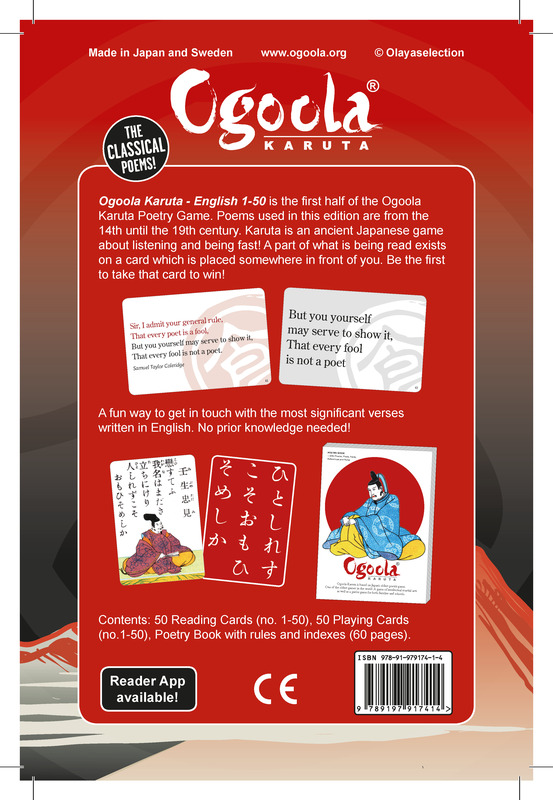 Contains 100 reading cards, 100 playing cards and a poetry book (instructions, rules, history and the 100 poetry quotes). 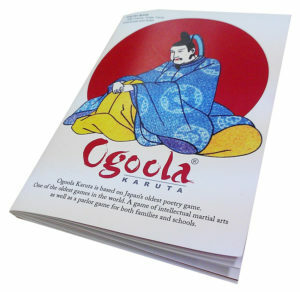 Tip: Download the Ogoola reader app! Available for Android and iOS devices. Enjoy to the reader Myrra Malmberg. This app serves as the reader when you want to practice and when everybody wants to play. If you are two players, the app will allow both of your to play! The original Japanese poems from Ogura Hyakuninisshu translated to English “wakas”. All cards have both the Japanese original poem with a unique illustration or text, plus the English translation. 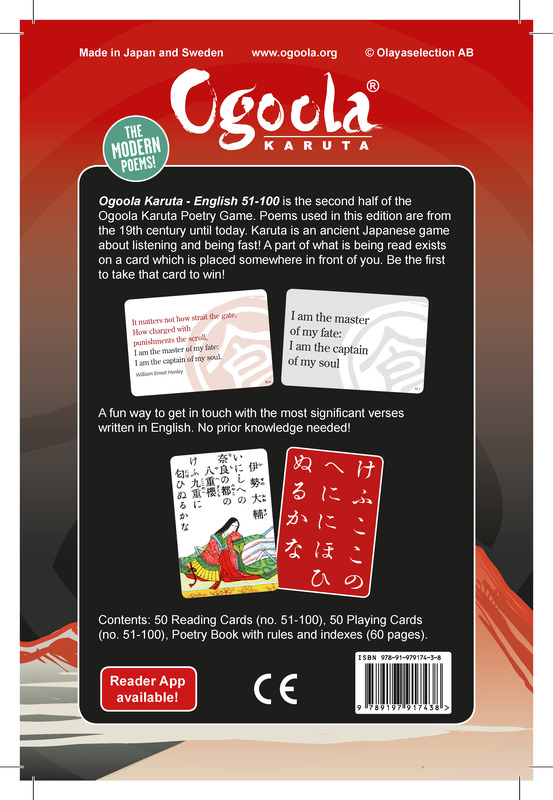 HYAKUNINISSHU English (1-50) Translation Part 1 Translated version of the original “Ogura Hyakuninisshu”, first part (50 reading cards and 50 playing cards, with poems no. 1-50). 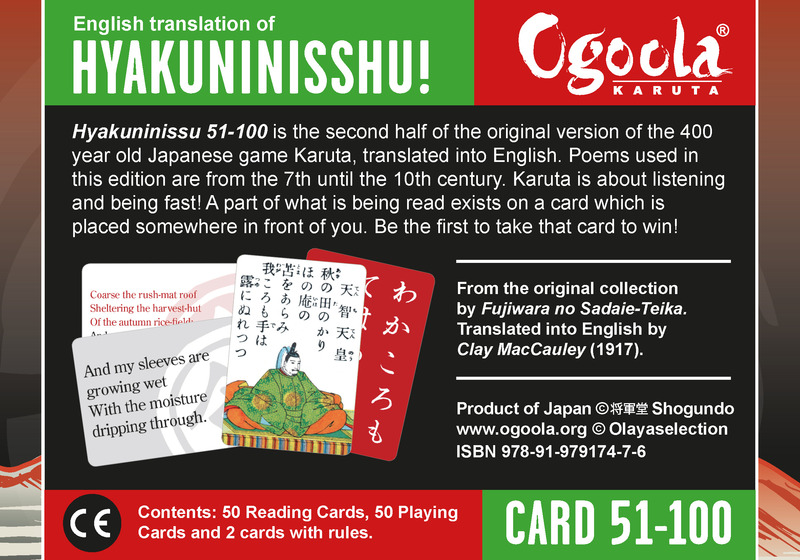 HYAKUNINISSHU English (51-100) Translation Part 2 Translated version of the original “Ogura Hyakuninisshu”, second part (50 reading cards and 50 playing cards, with poems no. 51-100). 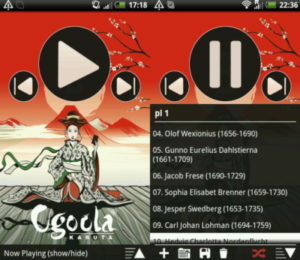 “German Classics”, uses 48 classical German poems. Contains 48 reading cards, 48 playing cards and an instruction sheet. 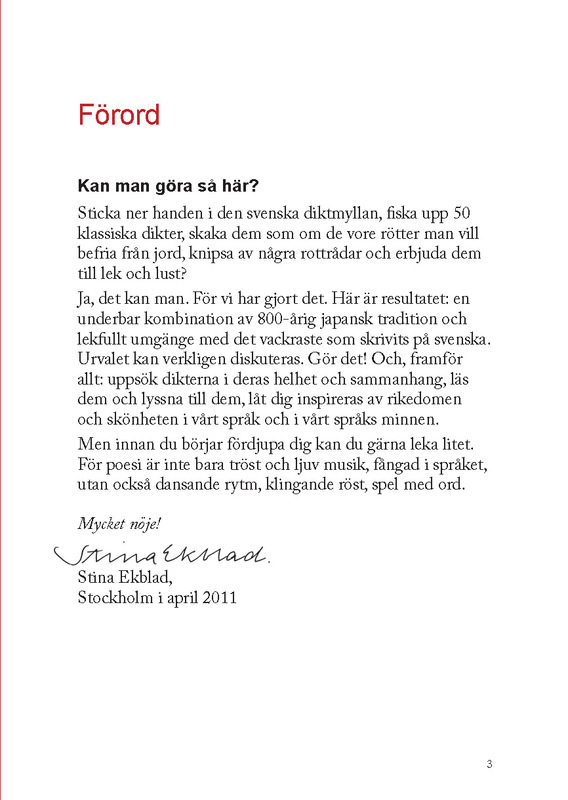 “Swedish Classics”, uses 50 classical Swedish poems. 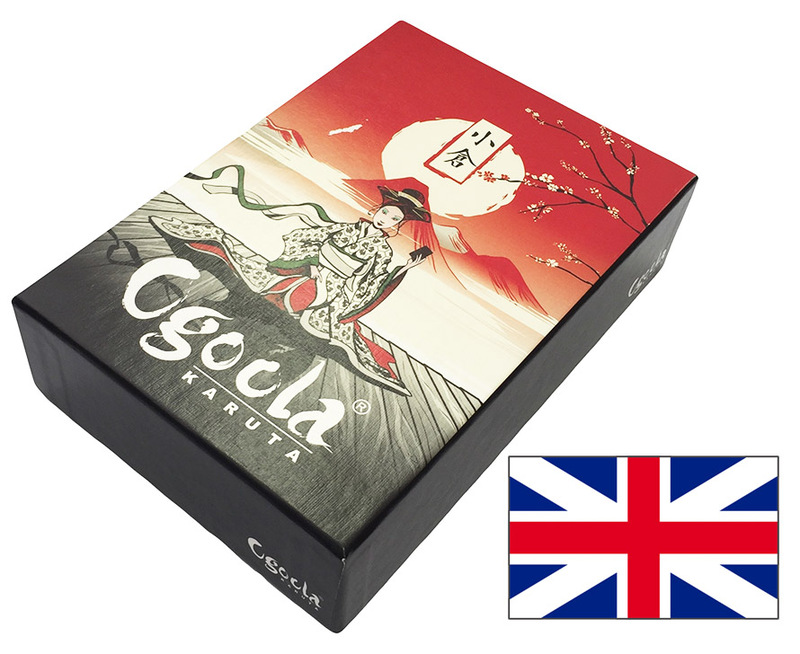 Contains 50 reading cards, 50 playing cards and an instruction sheet. 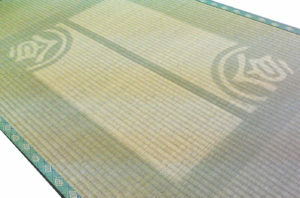 A genuine tatami mat from Nagasaki Japan exclusively made for playing the Ogoola Karuta poetry games and competitive karuta (kyogi karuta). Two territories with the correct measures. Handmade from real Amakusa grass. 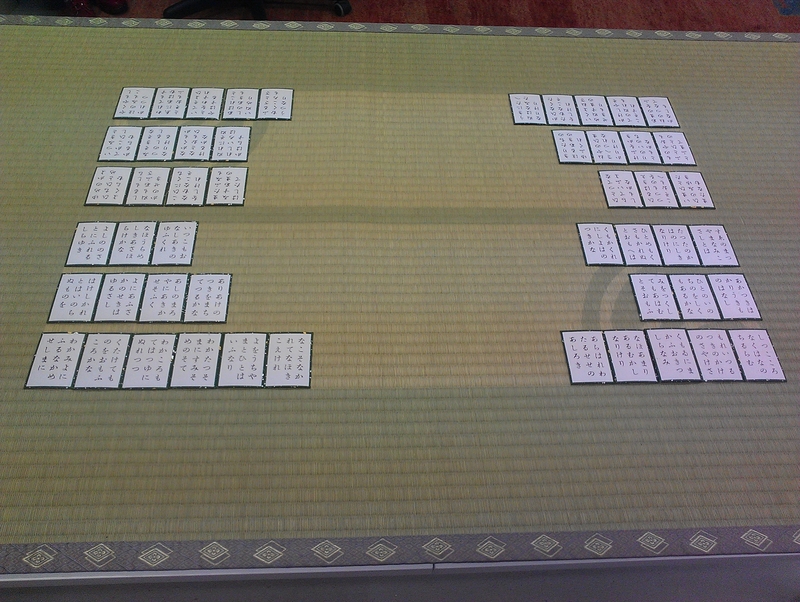 Place the Tatami Game Mat on a table or on the floor, and place the playing cards on the game board to get the real karuta experience! Buy the textile version of the Karuta Game Mat. 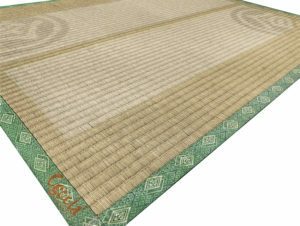 It looks exactly like the real tatami mat, but it’s less expensive and more practical because it is easier and lighter to transport. 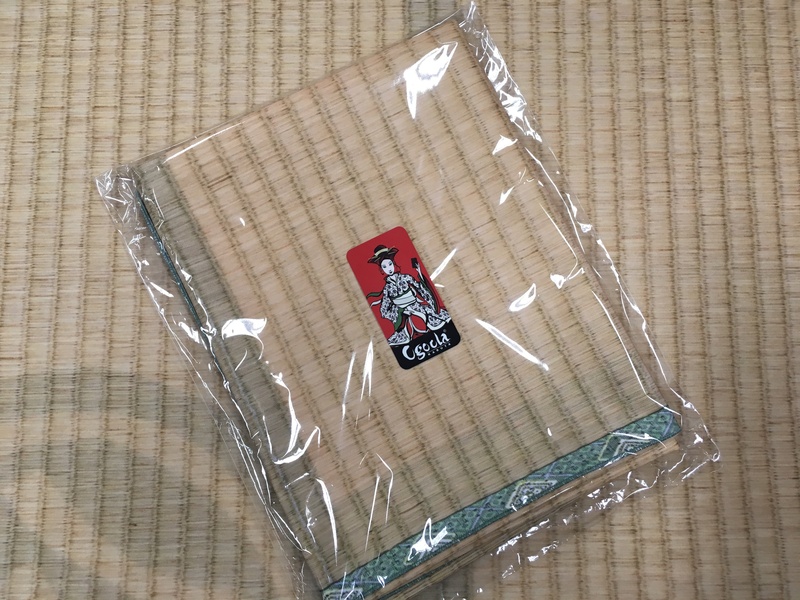 Possible to wash.
Place a soft blanket on a table or on the floor, and place the textile game mat and the playing cards on top of it to get a close-to-real karuta experience. Read up on the poems and be ahead of your competitors – or read it just for fun! 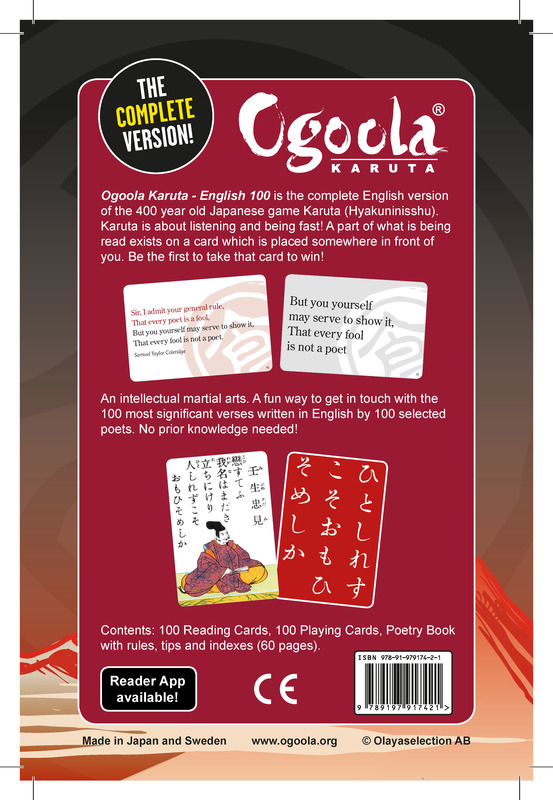 A little book with playing instructions, the rules of the game, history and all the quotations of poetry included in the Ogoola Karuta Poetry Game as well as an index and all references. A Poetry Book is included in the English (and Swedish) games. The Poetry Book, English 100 is also avaliable to buy extra copies here. Download PDF. Click and listen to reading samples!